Applications include digital camera, scanner, portable DVD's, MPEG3 player, and ADSL modem. 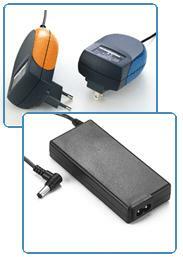 Constant current, short circuit protection when there occur a power surge which might damage the device. UL, TUV (GS mark) , CE,FCC and PSE .